What is the Bangkok Comedy Fringe? 12 Different stand up comedy shows with many international comedians over 5 days. 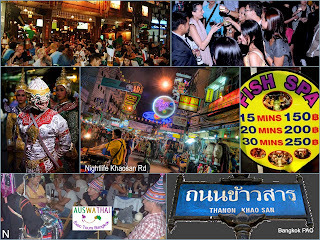 There will be 2 - 3 show a day all at the heart of Bangkok (Khaosan Road). Jonathan Samson "Godfather of standup in Thailand"
We have international award-winning comedians and acts form all over the world, Ireland, Canada, the USA, Scotland, Philippines, UK, Thailand and many more. all channels, best hashtags like, review, a tag, share just do it !